And just like that, my time at Sharing the Blog Love has come to an end! I have had such a lovely couple of months hosting with Laura and yet as of next week Katy will be welcomed back from maternity leave. 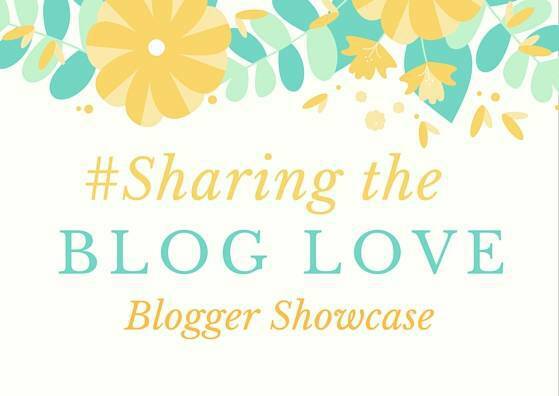 It has been such a pleasure to read all of your posts each week and I have found so many lovely blogs to follow, but as is always the case I can only choose four of you for this weeks showcase, and they are as follows…. This is the most beautiful post, In our shoes, where Jen writes about finding the perfect shoes whilst reflecting on losing her Mum and how she had told her to enjoy life twice, once for her herself and once for her. I won’t lie, it made me cry, but it is such a gorgeous post and a real reminder that life is for living, and to always buy the shoes. I loved this post, The Lake District has gained world heritage site status and the news that this week the Lake District has been officially named a World Heritage Site. We are fortunate enough to live just an hour from the Lakes and have had some amazing times up there. My husband and I actually got engaged on Lake Windermere itself so this is particularly lovely to hear that one our favourite places in the world has been recognised in this way. Why having less toys is good for your children was such an interesting post, and one that really made me think about the number of toys that my children have. As a blogger we are inundated with new toys, several a week sometimes, and I think there really is such a thing as too many toys…especially when it comes to tidying up! I love all of these reasons as to why children are better off with fewer toys! With blogging becoming increasingly popular I think it’s always great to have resources to use for those just starting out. This post, Let’s start a blog – advice for new bloggers has some great advice which will be so useful for those who are a little unsure of how to go about it. I wish I had read this post two years ago! Please do pop over and check out any of these posts that you have missed, show them a little love, spread a little happiness, and we hope to see you back here again next week! !